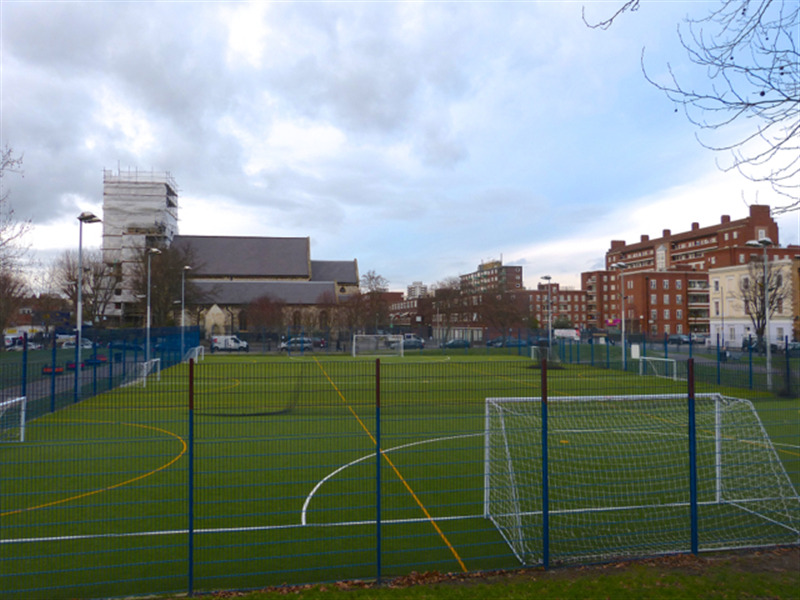 The Camden Football pitch is easily accessible from the following locations - Camden, Camden Town, Camden Road, Chalk Farm, Gospel Oak, Belsize Park, Mornington Crescent, Finchley, Finchley Road, Westhampstead, Hampsted, Tofnell Park, Caledonian Road, Kentish Town and Kentish Town West. The nearest point of interest is Camden Lock Bridge or Camden Market. The pitch is no more than a 2 minute walk from either. All corporate events can come with catering, full breakdown of what we can provide at this venue can be emailed to you - info@hireapitch.com. We have hosted some top events for up to 150 people and this is one of our most popular venues. 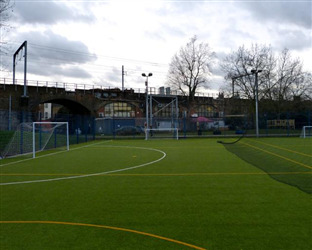 Located in the heart of Camden Town this is a fantastic location for kids parties. With a private tuck shop and the possibility of hiring an indoor space for food and drink your children will have the best experience. Bubble football and other inflatable activities can also be provided along with a DBS coach.